Junta de Andalucía - 6. Who is involved in the DIH Andalucía Agrotech? 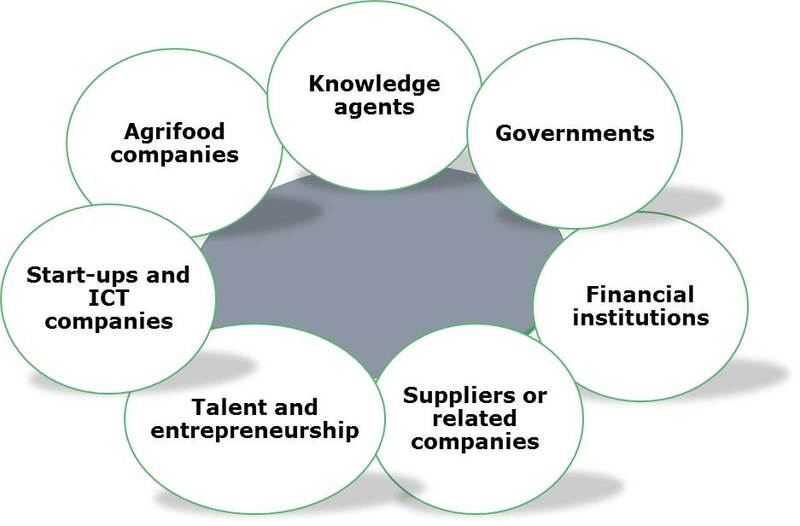 6. Who is involved in the DIH Andalucía Agrotech? To this day, Andalucía Agrotech DIH is composed of more than 100 members. The multi-actor approach that underpins this Hub includes members of the quadruple helix model of innovation: Government, Academia, Industry and civil participants. AGROSAP Soluciones Agrícolas de Precisión S.L. C.R. D.O. "CONDADO DE HUELVA" Y "VINAGRE DEL CONDADO DE HUELVA"
C.R. D.O. "MONTILLA-MORILES" Y "VINAGRE DE MONTILLA-MORILES"
C.R. D.O.P. "JAMON DE HUELVA"
C.R. D.O.P. "PRIEGO DE CORDOBA"
C.R.D.O.P. "ACEITUNA ALOREÑA DE MÁLAGA"